Being a pre-teen in the 21st century isn't always easy! Learn from the experiences of cheeky Gabbo, the galah from Western Australia, and his friends as they navigate their way through the world of social networking, online gaming and digital devices. The animals' stories and lessons are brought to life using innovative augmented reality technology. Watch the characters introduce themselves and engage in interative learning activities - all from your own smart phone! 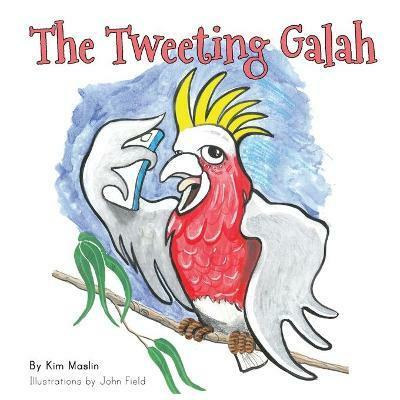 "The Tweeting Galah" offers a unique approach to cybersafety education for children, parents and teachers alike! Using Zappar augmented reality technology, children are able to further engage with the story using a smart device. Engaging learning activities allow children to develop a deeper understanding of cybersafety issues. Download free lesson plans and resources via "The Tweeting Galah" lesson library. With its relatable characters, vibrant illustrations and quirky stories, "The Tweeting Galah" is a story for everyone to enjoy! Praise for "The Tweeting Galah"
"If you are a parent or educator please consider getting this excellent picture book that explores cyber safety in a fabulous and child friendly way. Kim Maslin has written a wonderful resource to help educate our precious children"
"Thank you for this wonderful book and teaching resource. I have been reading the stories to my Year 3 class as part of our health program to reinforce healthy online behaviours. In particular, my class really connected with the story of the overly playful platypus. This story evoked a lot of discussion about too much screen time and, as a class, we have set a challenge to see if we can achieve 'screen free' days in the school holidays (me included!!) The Zappar app is a bonus as it adds an extension to the stories in a technological way that our little digital citizens of the world can relate to. On a personal note, as a parent this book has helped me to encourage discussions with my fourteen and ten-year-old on cybersafety. I will definitely be recommending this book to parents and teachers as a fun and engaging too to encourage discussions and decisions on safe and healthy use of technological devices and online programs"
"The Tweeting Galah" is the perfect classroom resource for teaching primary school students about cybersafety and digital citizenship. Reflection questions and learning activities in the book mean it is literally a "grab-n-go" set of lessons for you and your class to enjoy! Learning activities included within "The Tweeting Galah"